Mark your calendar for Date Night with a movie! 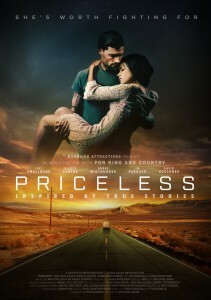 Enjoy popcorn, drinks, and watching Priceless for an evening of fun with your date (whether married or dating). Bring your own comfy chairs and sign up at The Hub (September 30 – October 14). Cost is $2.00 per couple to help cover the cost of snacks. The doors open at 6:30 & the movie begins at 7:00pm.